Last Sunday was a good one as I chose to de - stress from my work, graduate school and store through an off - road trail biking with other biking enthusiasts. 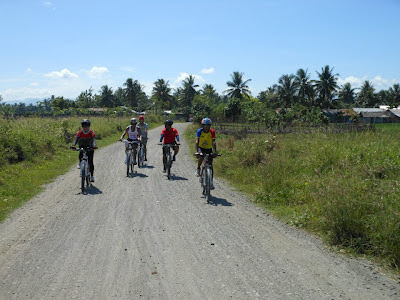 And just like my trail running, off - road biking requires different kind of courage and stamina. 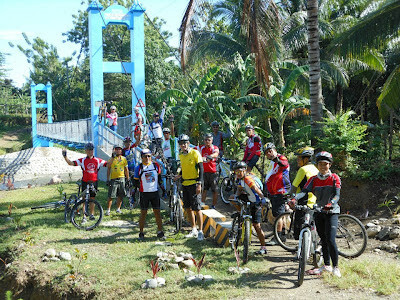 Good thing though that the group, composed of family bikers and other professional biking - fanatics, was newbie friendly that they waited for us and assisted me in my biking. I just had to walk though through a suspension bridge and on imbalanced trail but had to grip strongly on the brake as I went downhill. So, I hope next weekend, my family and I can join the group again.